lotus notes log file is created? 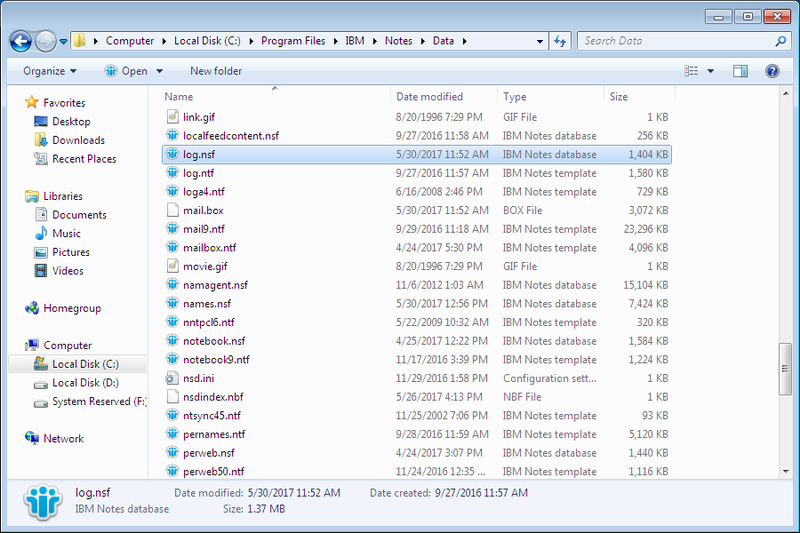 The Log file is one of the crucial file of IBM Notes as it contains the detailed information regarding Domino system. This file is created automatically by using the Domino first time. It is called as LOG.NSF file and placed on the Domino Server. A Log file is generated on every Lotus Notes Domino Server and keeps the record about all the major activities occur on the system. Database Size and Usage: File exhibits those activities that performed in all databases by providing details about size and space that is used in each database disk. Phone Calls Details: Provide Info about calls which received and done by a server. that are sorted by date or by user. Agent: The file saves the running time of the scheduled agents, when a Domino server runs. Replication Session: The Replication events which occur between the servers are also shown. IMAP/POP/SMTP: During these sessions, an activity is generated. It also saves the info of those activities. LDAP: All types of LDAP activities including abandon, add, bind, compare, delete, extended, modify, modify distinguished name, search, and unbind are also stored in log file. Mail: There is an activity generated by mail being routed to and from the server from a Domino or SMTP server. Notes Database: It contains the information of Notes database. It includes open and close information with the duration of use in Notes clients and Domino servers.